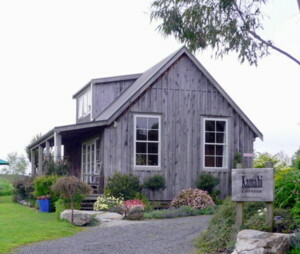 Kamahi Cottage is a romantic, luxury farmstay & 5 Star Bed and Breakfast just 30 minutes from the Waitomo Caves. 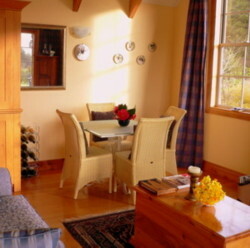 The boutique cottage is self-contained, peaceful & private. 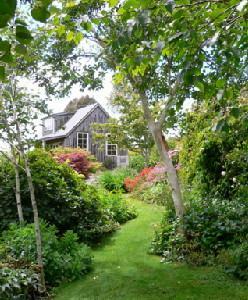 The setting is a beautiful hilltop garden with stunning views. 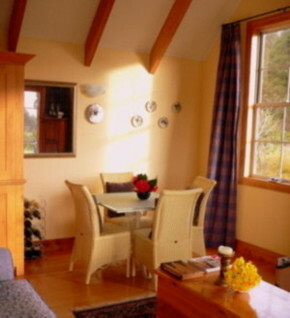 A full gourmet breakfast is served in the nearby homestead or delivered to the cottage whenever it suits you. 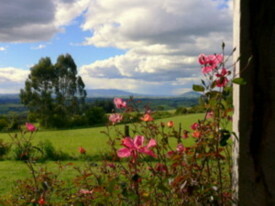 We also offer 2 or 3-course gourmet dinners by prior arrangement. 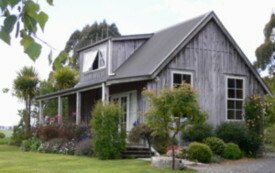 Fully self-contained luxury cottage in a large farm garden. 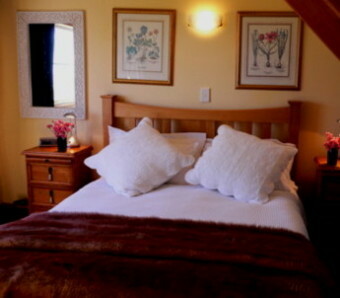 The upstairs bedroom has a queen bed with quality linens & furnishings and magnificent views. 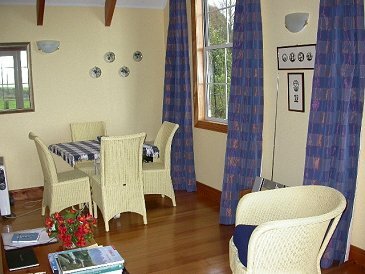 Downstairs there is a fully-equipped kitchenette for self-catering, a spacious modern bathroom (with robes, slippers, hair dryers and complimentary toiletries) and a dining/lounge area with TV/DVD, sound system, CD collection, reading material, fresh flowers, complimentary home baking, port,schnapps, coffee & tea assortments. 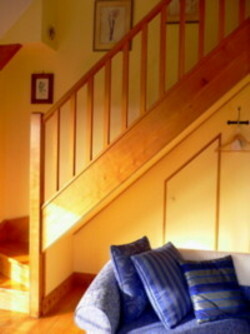 A sofa-sleeper converts to an extra queen bed for 2 extra guests. (Children are very welcome).